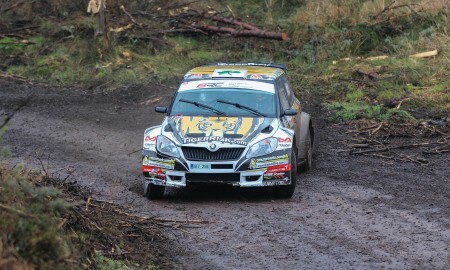 Marty McCormack & David Moynihan got their first taste of R5 power last weekend at the Willie Loughman Forestry Rally in Waterford. 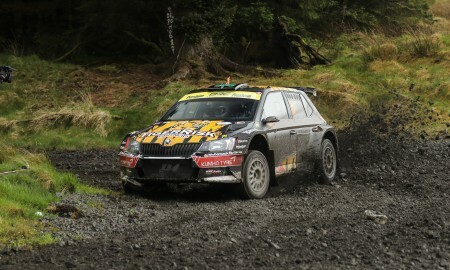 The event which comprised of 6 stages was the perfect test to get accustomed to their new car before the first round of the British Rally Championship(BRC), the Borders Rally in Scotland on the 18th of March. 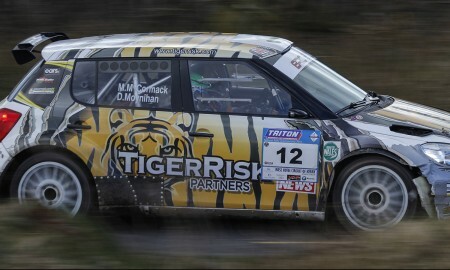 The rally started with a short 4km stage and Marty was instantly on the front running pace, taking 3rd fastest time behind fellow BRC rivals Sam & Josh Moffett. 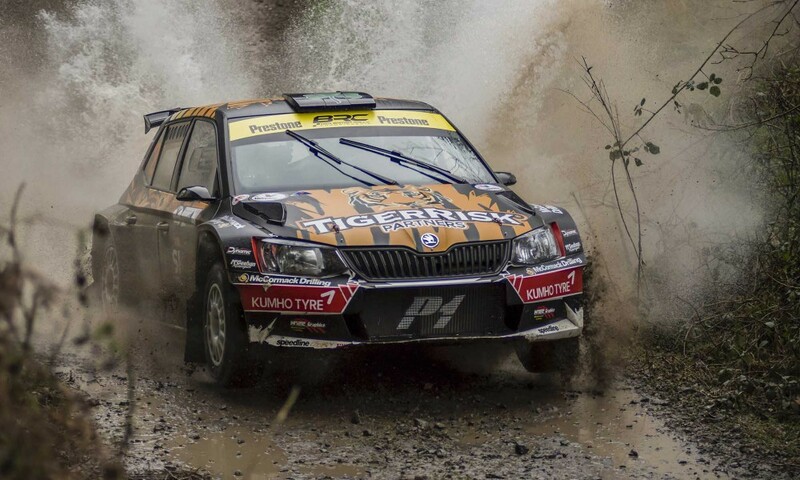 Onto the longer 14km stage 2 and Marty was able to stretch the legs of the Tiger Risk Škoda Fabia R5 to claim fastest time overall and move into 2nd place, 5.3 second off the lead heading into 1st service! Stages 3 & 4 were a repeat of the opening loop and Marty took a steady approach, adapting to the changes made to the car in service, “We tried a few different things on the car on that loop and they seemed to work” a 3rd and 4th fastest times respectively were his reward. 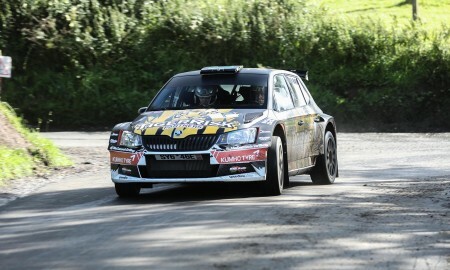 He held a commanding 3rd overall heading into the days 2nd service. “We are going to try a few different things here again in setup and see how the car reacts on the long stage” The final 2 stages of the event consisted of 2 runs over the gargantuan 22km stage, a true test of man and machine! 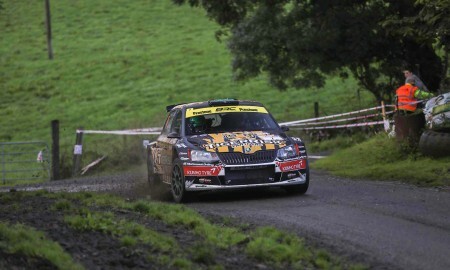 With a fresh set of Kumho tyres bolted onto the car Marty & David started the stage, but it became evident that the changes made in service didn’t work and they haemorrhaged time to there rivals dropping to 5th overall. “This is the reason for doing the event, we tried something new on the car and it didn’t work, but we have gained valuable experience now going forward”. 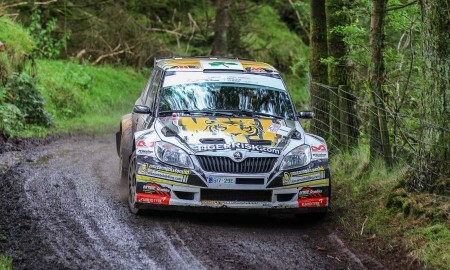 One stage to go and it was a case of damage limitation for the team, as every mile in the new car would be vital to be match fit for the Borders Rally on the 18th of March. 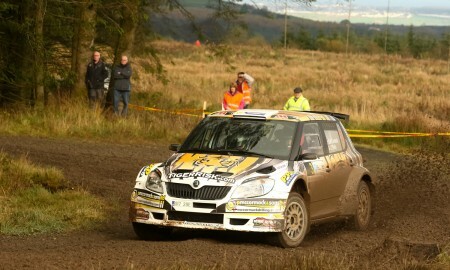 Marty racked up another 4th fastest time to cement his 5th place overall, a good start in the new machine. 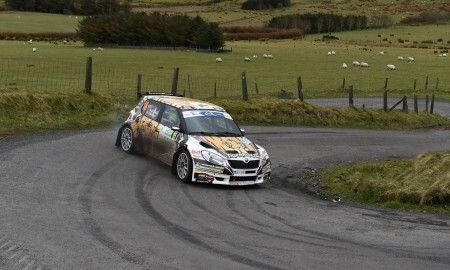 The team has made a last minute decision too compete in the Snowman Rally on the 18th of February to continue the testing and development ahead of the BRC opener. The Snowman also based in Scotland will allow the team to fine tune the car for the Scottish roads. Following this its onto the Borders Counties Rally, based in Jedburgh and as the entries keep coming in it is shaping up to be a massive battle for the BRC title in 2017!